post-title Steaks, wings, and fish. The Headline have some really good new food and drink deals. Steaks, wings, and fish. The Headline have some really good new food and drink deals. Home / 2018 / Steaks, wings, and fish. The Headline have some really good new food and drink deals. 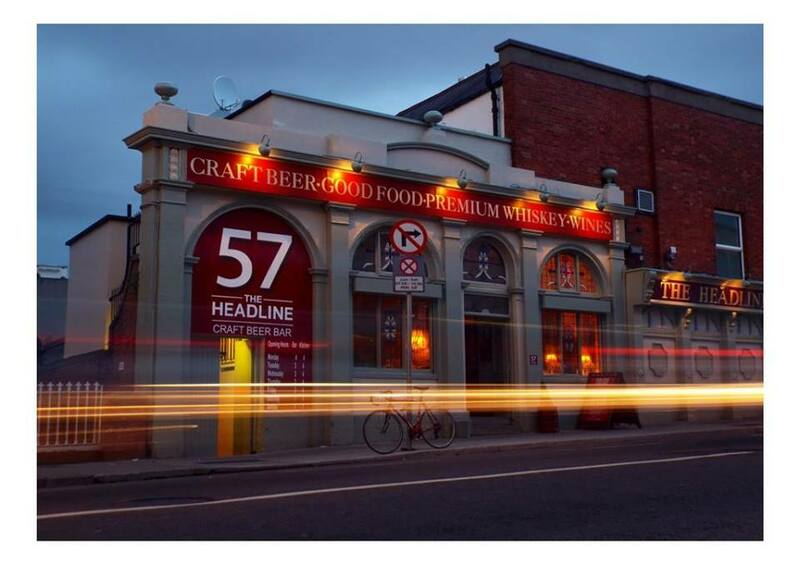 57 The Headline on Clanbrassil Street are firmly established as one of the best craft beer, gin, and gastro pubs in the city. They pay close attention to picking and serving Irish produce, very much keeping it local. 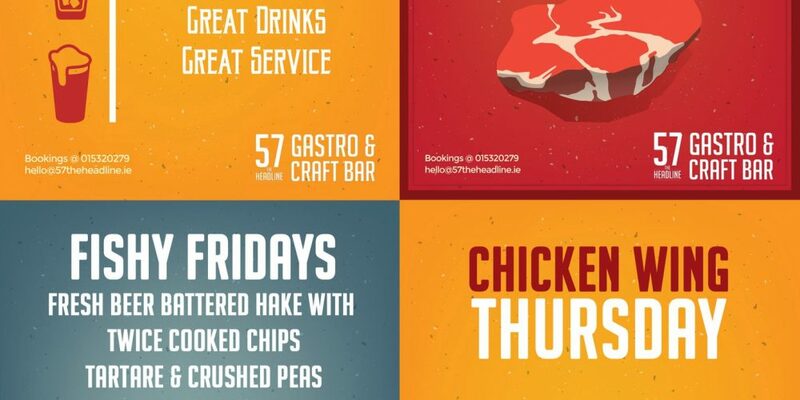 They’ve launched a few new food and drink deals that are likely to please any appetite. On Mondays and Tuesdays between 4 and 9.30 you can avail of their neighbourhood menu for €22 for 2 courses or €26 for 3. For that you could get claamari for starters, and twice slow cooked pork belly with potato strudel, buttered greens and a ruby port jous. Link to menu. Steak lovers can rejoice on Wednesdays. They have a 9oz sirloin and a drink for €20, or a 10oz rib eye and a drink for €25. The drink is either a glass of house wine or a pint of beer from their core range. A meal deals list wouldn’t be complete without a bucket of wings! 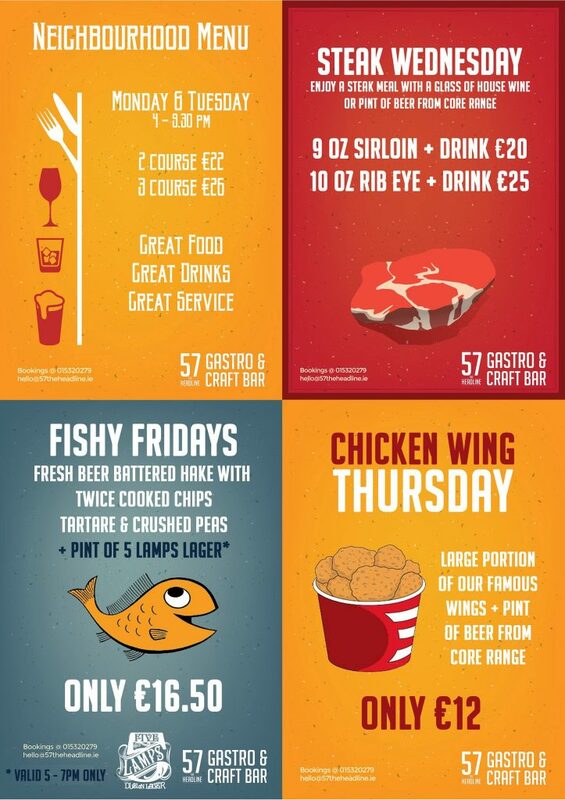 Get a large portion of wings and a pint from their core range for €12. The tradition of fish on a Friday still holds for some people. Get fresh beer battered hake with twice cooked chips,tartar sauce, mushy peas, and a pint of 5 Lamps Lager (brewed around the corner in Dublin 8) for €16.50. There’s some food for thought when you’re thinknig about where to go for grub and a drink after work.